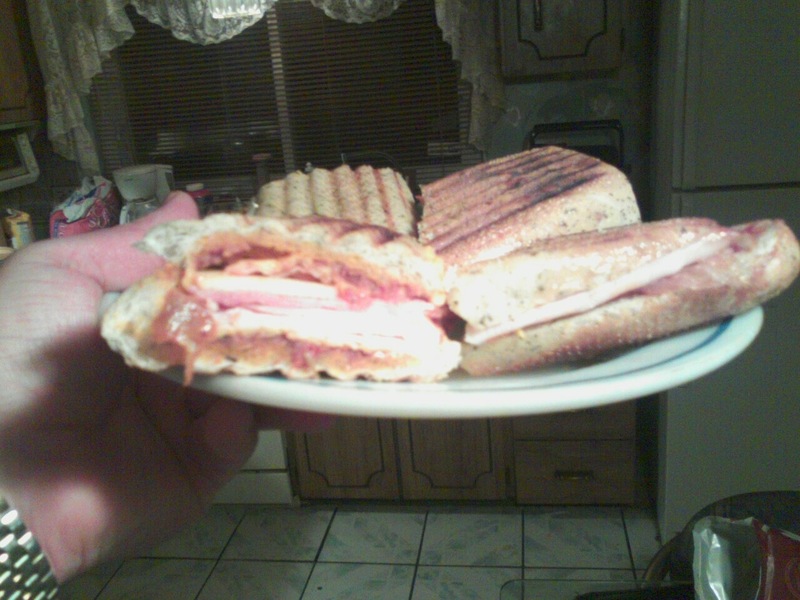 So last week my boss gave me a Panini Press and I was excited to get to making some good sandwiches. But what to make? What bread should I use? After some research of looking high and low on the internet and talking with friends in Facebook groups dedicated to food. I had some up with a combination which sounded good to me and it was not one which was suggested. What I ended up making was somewhat of a hybrid Turkey Club Sandwich. 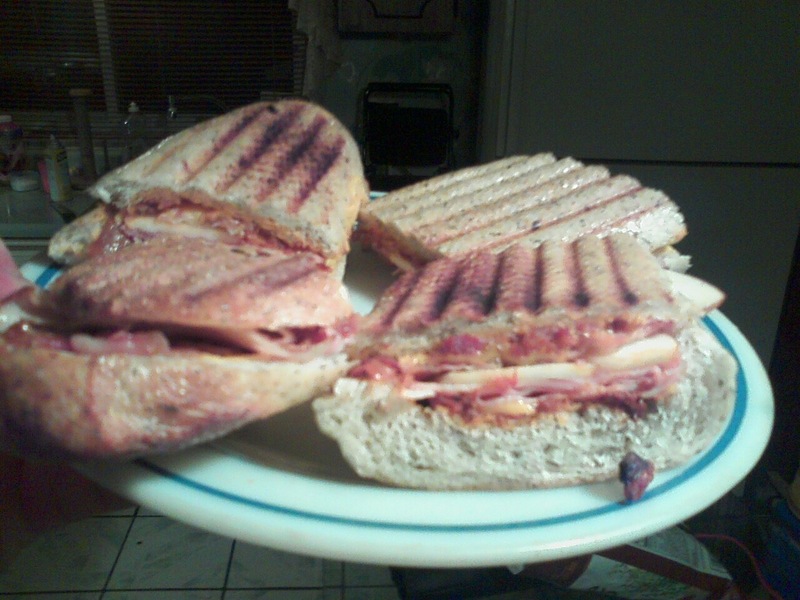 I bought some seasoned herb bread, put down a layer of sun-dried tomato pesto, sharp cheddar cheese, shaved ham, bacon, more cheddar, shave smoked turkey, and then more cheddar where I then layered more sun-dried tomato pesto on the top bread piece. Sprayed my panini press with pan release spray and also sprayed the sandwich top and bottom and then pressed into into the panini press. After about 5-6 minutes, I then released the press lid and it looked well cooked. While this was my first attempt this can be considered a learning experience. Next time I will change the way my sandwich is placed in the press to change the way the press lines are orientated. What panini's would you make or like??? ?